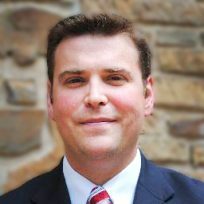 Henderson State University has hired Dr. Brad Patterson as vice president of student affairs and student success. He will start work at Henderson June 11. Patterson currently works for ACT as its state lead for Arkansas and Kansas where he consults with colleges and universities on enrollment initiatives, using data to increase student yield, and improving retention. From August 2014 to January 2017, he served as vice provost for student affairs at the University of Arkansas at Little Rock (UALR). Patterson will lead Henderson’s co-curricular programs, activities, and services that enhance the overall experiences and engagement of its students, while supporting retention and graduation outcomes. He will be responsible for the following areas: student life, student activities, disability services, career and leadership development, TRIO programs, counseling and health services, and residence life programming. “My family and I are very excited about the opportunity to join the Reddie family and the Arkadelphia community,” Patterson said. “I am specifically looking forward to working with students, faculty, and staff to support student engagement and success. We have been so impressed by the warm and welcoming community, and by the university’s clear commitment to students. Patterson earned his Doctor of Education in Higher Education Administration from UA Little Rock in 2012. He received both his B.A. in English (2004) and Master of Education (2006) degree from Stephen F. Austin State University. Patterson serves as a peer reviewer for the Higher Learning Commission of the North Central Association. From 2011-2014, he was assistant vice chancellor for student life research, evaluation and assessment at UA Little Rock, and served there from 2008-2011 as director of testing services and student life research.